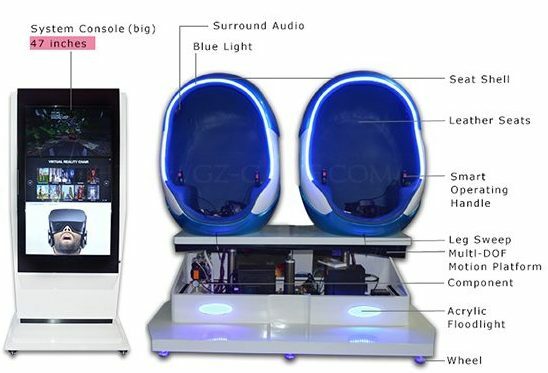 9D VR is unique successful commercial VR product, a viewer just need to put on VR glasses attached to the unit and then go into a whole new World. * breakthrough VR entertainment content platform to activate hundreds of different games. When you take a seat at one of our simulators you will definitely feel like you entered a new reality and era of VR. HD 360 degrees 9D full-view movies & 5D movies, tolal 100 PCS FREE MOVIES, and update every month. 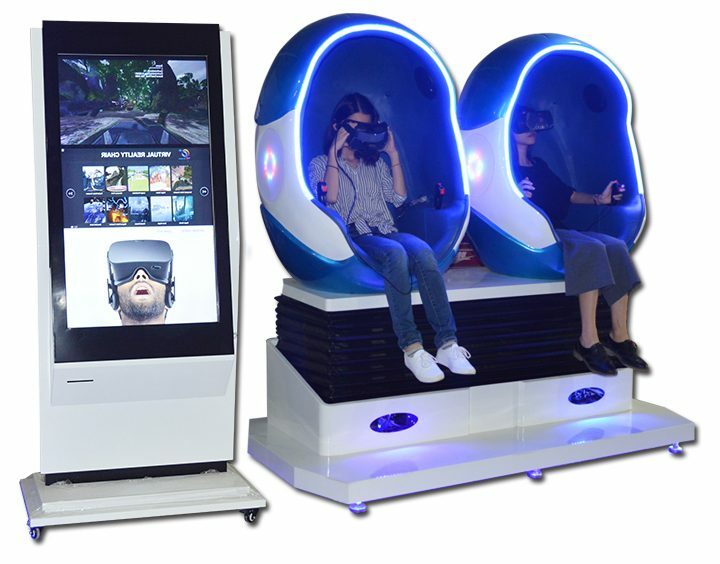 The advantages of FluidCast 9D VR cinema. 1. Many varieties of film + virtual reality available. 2. Small business location (only 2-9 square meter ). 4. Full automatic mode.1 person for operation. 5. Professional after-sale service, lifelong maintenance.